VWVortex.com - Who has a 1.8T 4motion manual? Who has a 1.8T 4motion manual? Thread: Who has a 1.8T 4motion manual? Only available in 2004, I believe? How do you like yours? I love it! I found a list of production numbers recently to see how many of my exact car were made for the us market. So would I - if I could reliably tell the oil was changed correctly over it's lifetime... 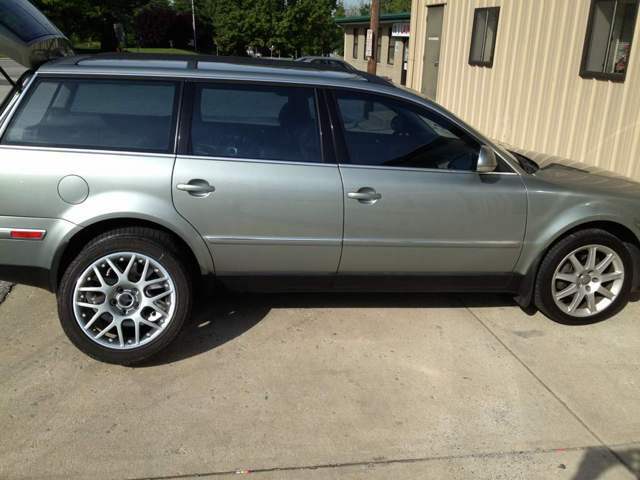 I wasn't looking for a 4mo specifically when I got my wagon, it was just a good deal at the right time. Luckily I purchased the car for the original owner and he had impeccable maintenance records. I would have loved if they made them with a 6 speed option for the US market. Love my 2005 manual 1.8t 4mo! I do. Sedan. Bought in 2008 with only 10k miles, now up to 90k. 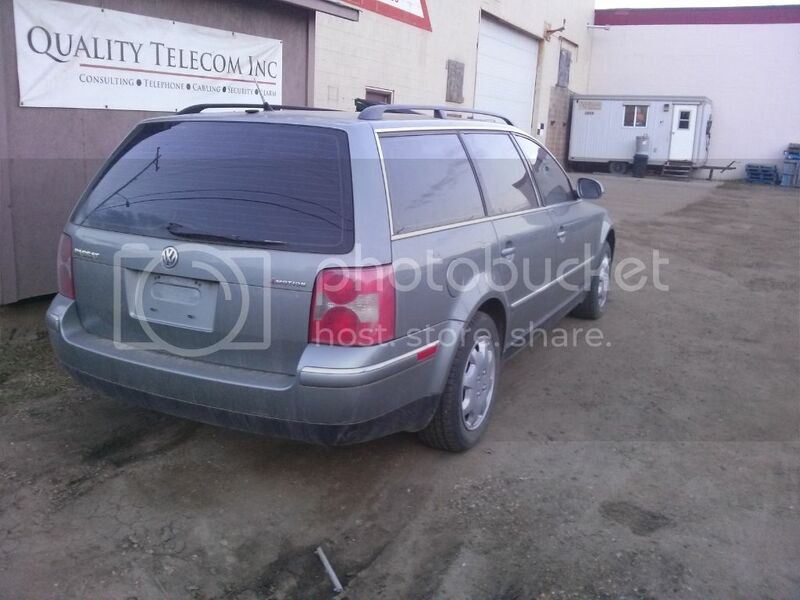 A couple of summers ago, I came across a 1.8T 4Motion manual wagon. The dealer was having trouble selling it; no one wanted a manual. I already had two Passats, one of the guys from Ross-Tech picked it up. I am probably one of the few that have owned mine since brand new. Mine is a 2004 GLS 1.8T with a 5 speed manual and 4motion. In Canada there were 230 with the 5 speed in 2004. In my color combo black with Anthracite interior there were 23, of that 5 were station wagons. And in 2005, which is mostly a Canada thing only there were 15 with the same color combination. Top speed in both cases is governed at 130mph. As far as other 4motion cars go performance wise. The 2.8V6 auto was 8.5 seconds to 60, same 130mph top speed. The W8 all were 4Motion is 8.5 seconds to 60 with the auto and 5.9 seconds to 60 if you had the manual trans. The W8 were also governed to 130 mph. The 130 mph top speed was strictly because of the tires supplied in North America. The cars are capable of up to another 20 mph without the limiter. 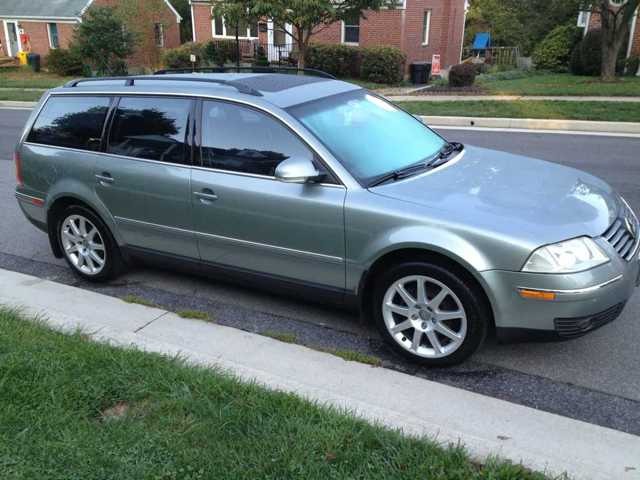 Owned my 04 1.8t , manual wagon since new. GLS, learherette, Stonehenge grey, 123k and love it. 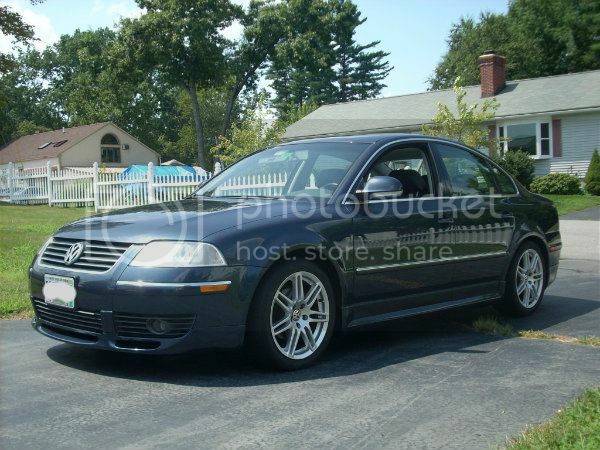 I have a 99 1.8T 5spd can I add 4motion to eat regardless of cost I found a donor car on craigslist. Do you all think its possible and what do you think I would need????? If you have to ask this question, then NO, don't. (GRIN) What he said. We see that question from time to time; my default answer is usually a flat NO, but there's that one guy who claims to have done it... It's possible in the same sense that it's possible to convert your Passat to electric power, or make it amphibious. As noted, you basically have to cut the rear floorpan out of an intact 4Mo car, and weld it into the recipient; plus myriad other component and electrical changes. All to do a mockup of something that, while middlin' rare, you CAN actually go out and buy. Forget it. I agree, cheaper to sell the one you got and go buy a used 4Motion. Harold, do you want to sell your car? or trade for a wagon? I have your same car, but a wagon. 2004 1.8T 4motion 5speed. I'm listing it for sale now. Sorry, no thanks. Not done playing with it. It's a GL with leather seats, seem like the only options added were the 4motion and the manual trans, but i'm totally happy with it. But i'm still unsure of the color, i'll have to see what the build sheet in the back says, it's a blue/greenish silver metallic... dirty right now but i'll get some better pics. Man I really miss that car! Did some work to it and sold it for more than I paid heh. Last edited by Jay-Bee; 08-28-2017 at 11:35 AM. Last edited by justin_6649; 10-28-2013 at 12:00 AM.